What Can I Do With a BFA in Cartooning? A BFA in Cartooning can open many doors for ambitious graduates. Cartoonists can find work at animation studios, production studios, for comic book publishers, newspapers, and book publishers, for advertising and multimedia firms, and sometimes all of the above—if you choose to freelance. 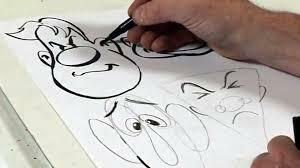 Just a few common job titles include Animator/Cartoonist, Cartoonist, Illustrator, Comic Strip Illustrator, Caricature Artist, Editorial Cartoonist, Game Artist, Background/Layout Artist, Studio Background Artist, Storyboard Artist, Pencil Model Sheet Artist, and Morph Artist. Though salaries for Cartoonists vary by factors such as job title, company, and geographic location (more on this in a few), the Bureau of Labor Statistics (BLS) reports that the average salary for Cartoonists was around $50,790 in May 2016. The lowest 10 percent earned less than $20,820, and the highest 10 percent earned more than $99,670. The top paying states for Cartoonists are California ($75,380), New York ($74,150), Arizona ($63,420), Washington ($59,610), and Minnesota ($58,560). With an average of $81,660 and $80,080 annually, the Riverside-San Bernardino-Ontario, California and Los Angeles-Long Beach-Glendale, California metro areas have the nation’s highest average salaries for Cartoonists, respectively. So we’ve established that Cartoonists have a wide variety of employment options and they can earn a pretty penny too, but where are all of the cartooning degrees? Most illustration programs and many animation programs can prepare you for a career in cartooning and they can be found in every corner of the U.S. and abroad. However, the School of Visual Arts (SVA) in New York is one of the first colleges to offer cartooning as a major. The BFA in Cartooning, which is often completed within four years, is accredited by the National Association of Schools of Art and Design (NASAD). NASAD is the only accrediting agency covering the entire field of art and design recognized by the U.S. Department of Education. This, along with a rigorous accreditation process, makes NASAD accreditation the most respected seal of approval an art and design school can achieve. Whether you are interested in a degree in Cartooning, Animation, Game Design, or Illustration, we can help! Use our School Locator to find NASAD accredited programs in your area. "BFA Cartooning." School of Visual Arts (SVA) NYC. Visual Arts Press, Ltd., 2017. Web. 11 July 2017. "Craft and Fine Artists." Occupational Outlook Handbook, 2016-17 Edition. Bureau of Labor Statistics, U.S. Department of Labor, 17 Dec. 2015. Web. 11 July 2017. NASAD. 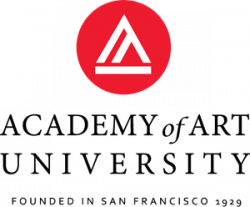 National Association of Schools of Art and Design (NASAD), 2017. Web. 11 July 2017. Cartooning Degrees: What Coursework is included in a Typical Cartooning Program? Entertainment Art/Animation Degrees: What Coursework is Included in a Typical Entertainment Art/Animation Program?